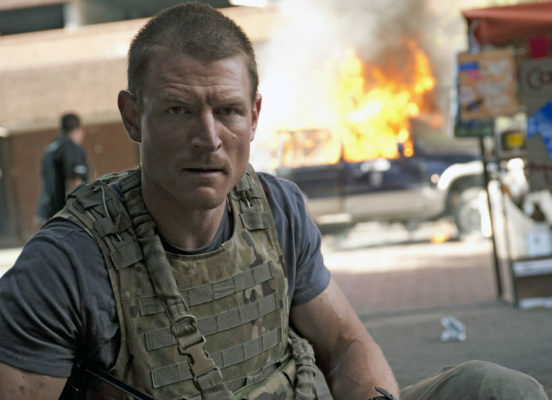 Is Philip Winchester returning for the upcoming Strike Back reboot? Recently, the star spoke with TV Guide about the Cinemax TV series. Winchester played Sergeant Michael Stonebridge on the original action drama, which followed the missions of Section 20, a classified branch of the British Defence Intelligence service. The cast also included Richard Armitage, Andrew Lincoln, Colin Salmon, and Shelley Conn. The show lasted for five seasons before ending in 2015. Currently, Winchester stars on NBC‘s upcoming spin-off Chicago Justice, which premieres on March 1st. What do you think? Are you a fan of Strike Back? Do you think Winchester should return for the Cinemax reboot? Why no resolution to Andrew Lincolns character ? Know he was a bad guy but not finish and no anything to end him. I think it would be great to have all the cast back together and continue the show. I love Strike Back and the first preseason with Richard Armitage and Andrew Lincoln. Great show and great writing and easy on the eyes 🙂 Thank you. It won’t be the same without the Mike-Scott tag team, those guys made the last show. I am a fan of the show and would love to see him and Stapleton return for the show in any capacity. Also as fan it bothers me that you have little idea about the show youre writing about. Armitage and Lincoln only starred in the first season.